VALLETTA, MALTA, May 2011 - On the occasion of his 53rd anniversary in the music business, Sir Cliff Richard graced the Grand Hotel Excelsior with his presence this weekend where he gave a performance during a Gala Dinner organised by Mega Music Malta. The event was an instant sell out and many of his ardent fans enjoyed his timeless music while dining in the Grand Ballroom of the Excelsior. 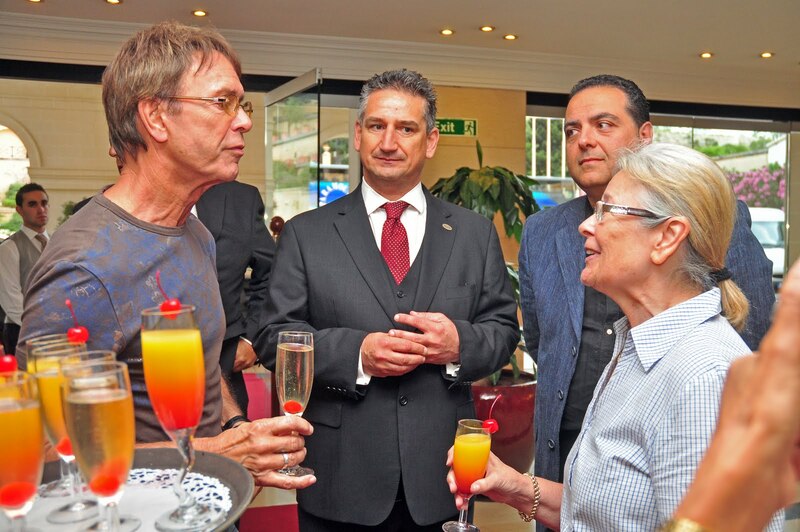 During his stay in Malta, Sir Cliff Richard also honoured a number of fans at the opening of an exhibition also held at the Excelsior Hotel. Memorabilia to include photos, albums, singles, dvds, paintings and signed objects were showcased for his loyal followers to admire. Sir Cliff Richard was born in Lucknow/India on 14th October 1940 but his family moved to England when he was eight. People often say that together with his band The Shadows, he invented British Rock’n’Roll when they released their first hit single “Move It” in 1958. Their first number one was “Living Doll” in 1959. Since then, he spent a large part of his life in the charts. In fact, he is the only artist to have had a number one hit in five consecutive decades. Having sold 260 million records over the years means that he is the most successful U.K. recording artist of all time. His biggest hit was “We Don’t Talk Anymore” in 1979. When he received his knighthood from the Queen in 1995 however, it was for the charity work he has been involved in since he became a Christian in the early 60s. Sir Cliff Richard took time to sign the Excelsior’s visitor book where he left a note reading ‘Many thanks for your hospitality. Here’s to next time!’ The hotel team is honoured that the well known British music legend and Cultural Ambassador for Valletta will return and eagerly looks forward to this. 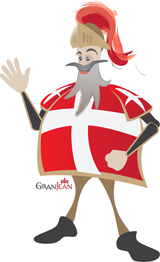 For more information about Malta Events please visit the website of the Excelsior Hotel Malta. 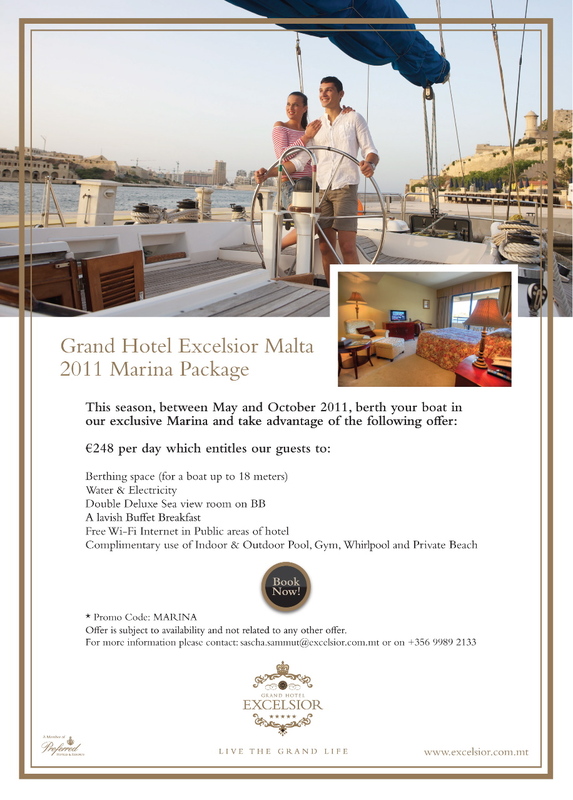 This entry was posted in Excelsior Hotel Malta, Malta Events on May 25, 2011 by admin. Complimentary use of indoor & outdoor pool, gym, whirlpool and private beach. For more information Check Our Marina Package on Our Website or contact Mr Sascha Sammut on sascha.sammut@excelsior.com.mt or on + 356 99892133. This entry was posted in Excelsior Hotel Marina on May 23, 2011 by admin. Always treat your employees exactly as you want them to treat your best customers. Start the Summer Season in a Grand Way. Show your employees how much you appreciate their hard work throughout the year with a sumptuous BBQ at one of the hotel’s outdoor venues, enjoying stunning Sea and Harbour views. 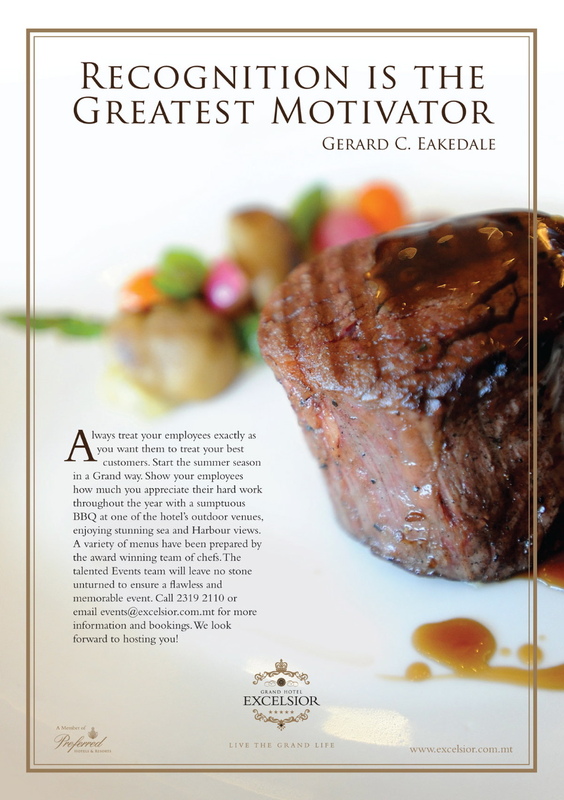 A variety of menus have been prepared by the award winning team of chefs. The talented Events team will leave no stone unturned to ensure a fl awless and memorable event. 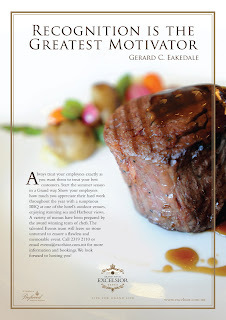 Call 2319 2110 or email events@excelsior.com.mt for more information and bookings. This entry was posted in Malta Restaurants on May 16, 2011 by admin.